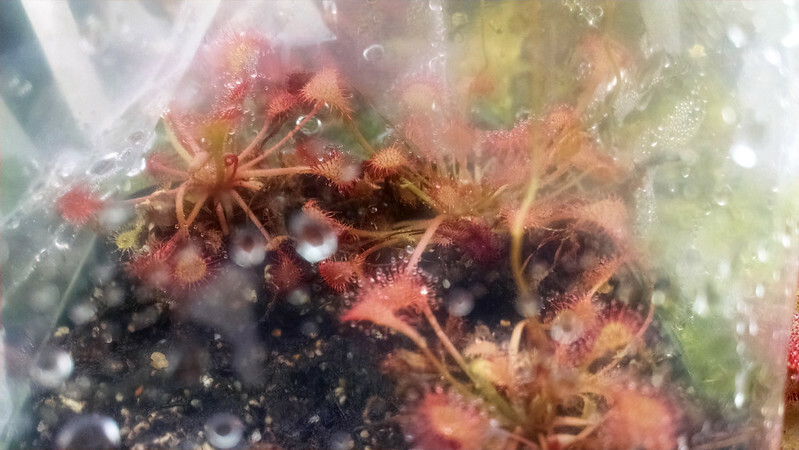 Some of my NASC auction acquisitions |Sundews Etc. As I mentioned a bit ago the NASC held its annual benefit auction at Terra Forums about a month ago. I donated several plants, and bid on several plants. I'm still waiting on some of my flytraps to arrive, but I'll just go ahead and post about the plants that have shown up. 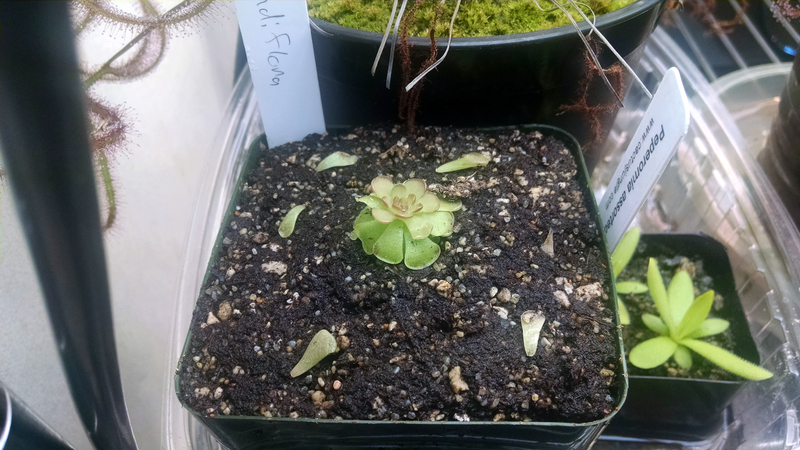 First up is the most exciting, and the one for which I paid the most, Pinguicula reticulata. So small, but so full of promise! It's not huge now, but it's very attractive when mature. Also, the flowers are beautifully veined. Another ping with a beautiful flowers is Pinguicula rotundiflora. Let's see some strikes on those leaves. I cannot wait until I have a little pot full of these guys in flower. It's adorable. There were lots of leaves to try as pullings when it arrived too, hahahah. This next plant is Drosera capillaris, which I already have. This, however, is a very different long-arm form, and it came with location data I couldn't resist: Tate's Hell Swamp. I had to get at least one sundew. I've said it before, but Drosera capillaris is a very underrated species. The grower from whom I received the P. rotundiflora and the D. capillaris (as well as a Pinguicula debbertiana that, alas, didn't survive shipping) sort of messed up shipping, and in his second package he sent along a handsome bonus: Drosera slackii! I'm really hoping this is a different clone from the one I got from California Carnivores recently. That would leave the possibility of someday getting seed, if I provide excellent conditions and get lucky. This last acquisition is actually one I split with my friend Anne, who works at the Cactus Jungle. 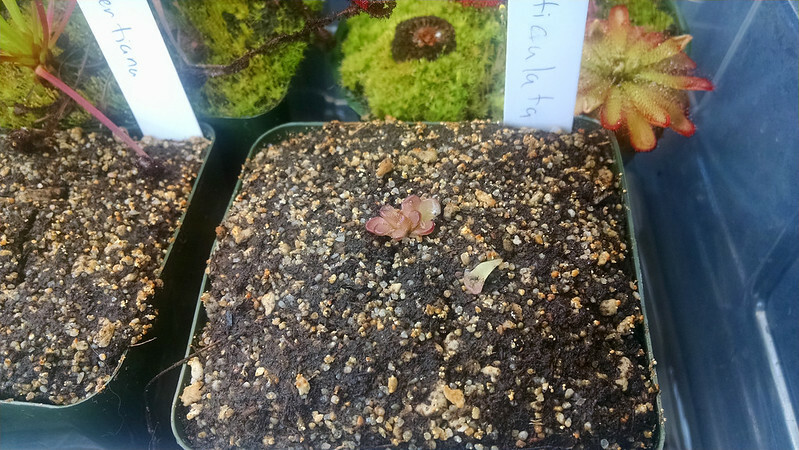 It's a seedling plug of several little baby Sarracenia leucophylla f. viridescens, aka anthocyanin-free S. leucophylla. 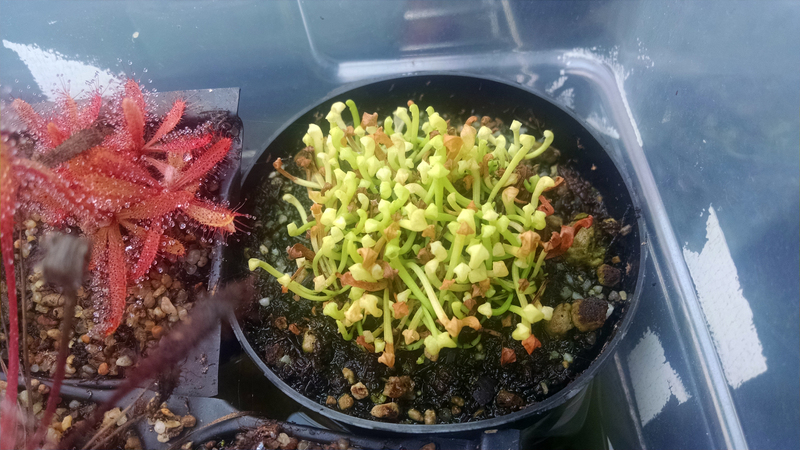 Sarracenia seedlings take longer, but that just builds anticipation! Little babies! I'm going to grow them out a bit under my lights and then we'll divide the plug between us. These are going to look awesome in a couple years, see if they don't! 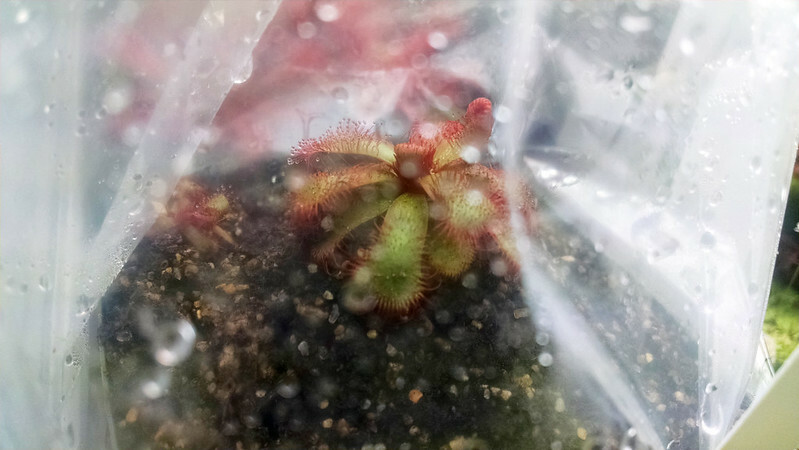 I can't think of anything better than buying carnivorous plants for charity, hahahah. Nice haul! I just got a U. calycifida "Asenath Waite" from the auction. Can't wait to see that one bloom! I can give you a couple P. debbertiana leaf pulls next time I see you. Mine is about dime-sized now, I hope it puts on some decent growth this year! But when it comes to buying and selecting antique furniture most people are at their wits end. The socially conscious society demands that you know your antique purchases old furniture for sale.